We want to offer our clients only the most premium eyelash services at Blink Beauty Bar. Borboleta Beauty has exceptional eyelash products that are highly recommended by professionals in the beauty trade. Their beauty standards are among the best in the industry offering the softest lashes and the safest adhesives on the market. Not all lashes are created equal in the industry and when it comes to synthetic extensions, quality matters. Please let our lash technician know which lash style you prefer! We offer different eyelash styles to help you achieve your desired look including a natural eye, open eye, a cat eye, or doll eye. This lash technique is applied in a 1:1 ratio of lash extension to the natural eyelash using a medical grade adhesive. This is the traditional eyelash extension method and its main attribute is to add length. If your eyelashes are naturally thick, this method may work best for you and gives a mascara effect. Perfect for a special event to create the ultimate eye look that will brighten and enlarge! Bottom lashes are applied using the classic lash technique. Volume lashes is a technique that applies a fan of 2-4 lash extensions to one natural eyelash. This method may be best for clients with few natural lashes to give the appearance of fuller eyelashes. 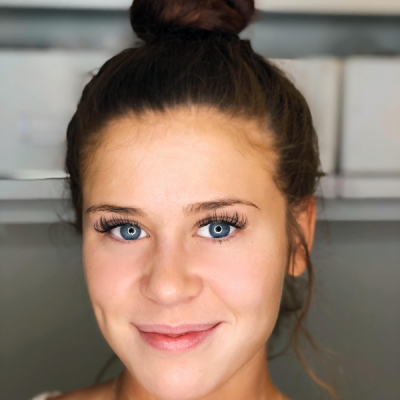 To achieve this effect, the lash technician will create a fan of lashes and apply each to one eyelash at a time, which offers a gorgeous, thicker look. This creates a more fluffy and soft lash appearance. The hybrid method is a combination of the classic and volume lash techniques. 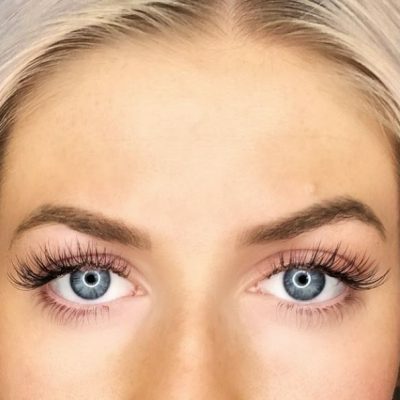 This technique is also popular and allows the combined appearance of more length as with the classic lashes and a fuller look with volume lashes. 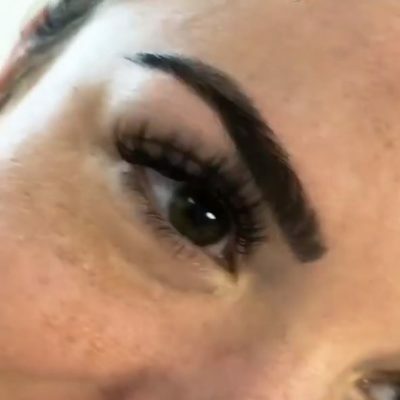 This is a volume lash method that adds a fan of 5 to 6 lash extensions to one natural eyelash. This is the most voluminous lash method that will create the most dramatic look possible. Borboleta Beauty has formulated a high quality faux mink lash that is made from realistic poly yarn fibers that have the unique appearance of natural lashes and are extremely soft. Other synthetics have the appearance of being thick, heavy, stiff, and unnatural. Their premium quality faux mink lashes were designed to be movable and flexible, maintain a curl, and feel natural as eyelashes should. Borboleta Beauty’s adhesives are the cleanest on the market. They have scientifically formulated their adhesives to avoid harsh chemicals and only use the safest chemicals available to be used on the skin. Their adhesives dry with flexibility, last the longest, and allow the eyelash extensions to move and feel as close to natural as possible. Other adhesives dry as hard as a rock, contain alcohols, and preservatives that can affect the skin and natural eyelashes. Our adhesives are replaced every four weeks for optimal results. For your first appointment, do not wear any eye makeup or use facial lotions or creams that contain oils. It’s best to not consume caffeine one hour before your scheduled appointment. Be prepared during the appropriate amount of time for your appointment to keep your eyes closed for the required duration. Make calls and use the restroom beforehand. Eyelashes have a growth cycle and shedding occurs every 3-8 weeks before being replaced by new lash growth. Lash extensions will eventually shed with or without the natural lash around the second week. How well you take care of your lashes plays a large role in their life extent. As new eyelashes begin to grow, you will want to have the extensions replaced regularly to maintain their appearance. We recommend booking refills within 2-3 weeks. 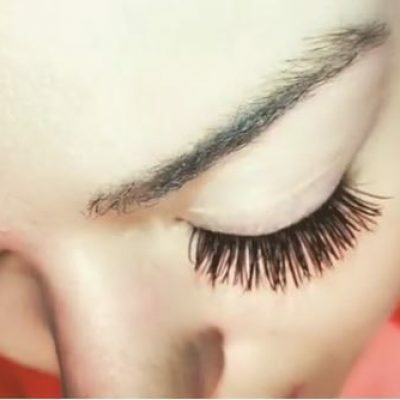 Eyelash extension fills replace the extensions that shed or grow out. Any missing eyelash extensions will be replaced and extensions that have grown out will be removed. New extensions are added to any natural lashes that have grown in or don’t already have an extension on them. No less than 50% of your lash extensions must be remaining from initial appointment in order to book a fill. Mini fills must be booked within 7 days of prior appointment.